Offering you a complete choice of products which include hard chrome plating services, spindle motors, internal grinding spindle, re-grinding service, precision bearing changing services and spindle observations services. Due to so many reasons like wear and tear, the bearing seats of spindle shafts can get loose, which can cause chatter marks on the end job. 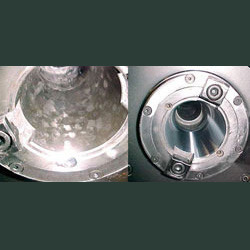 To rectify such problems, we offers Hard Chrome Plating Services on bearing seats of shaft and thus regrinding the shaft to enable to reuse the older shaft. 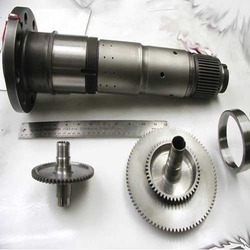 Belt Driven Internal Grinding Spindles are used for various grinding applications. They are best accommodated to the places where there is sufficiency of space because the belts require certain space. Now-a-days these spindles are available in variety of sizes and models in compact designs. These Belt Driven Spindles are manufactured for internal Grinding operation for small medium & large dia bores. These are suitable for Indian as well as imported machines. Mostly these spindles are grease lubricated for long life but oil mist, oil jet and oil dipped lubrication spindles can also be manufactured on request. 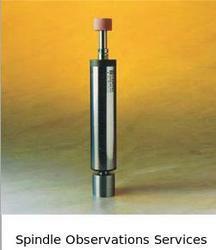 The standard models of spindles can be used on standard internal grinders having 60,80,100 & 125 diameters etc. 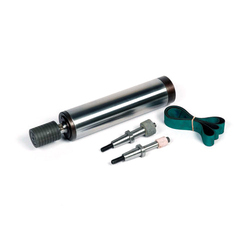 We provides the Spindle Shaft Re-Grinding Services of old spindle shafts. We have standard gauges like BT taper , ISO taper , DIN, HSK taper. 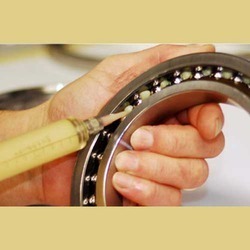 We are offering Precision Bearing Changing Services. It is found that around 16% of all premature bearing failures are a result of poor fitting or using incorrect mounting techniques. Firstly, the use of proper dismounting methods tools will help prevent damage to other machine components, such as the shaft and housing, which are often re–used. Secondly, incorrect dismounting techniques can be hazardous to the operator. We keep the standard bearings all the major brands like : RHP, SKF/SNFA, GMN, Nachi etc. 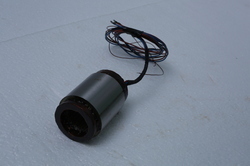 in our stock so that the lead time to repair the spindle can be reduced. There are cases where it is difficult to bring the spindle at Capital Engineering Facility, we also provide the Spindle Observations Services where our experts can visit your factory and can give you the estimation and work which needs to be done to repair the spindle. Looking for Spindle Repair Services ?